Biodiversity, Sustainable Agriculture, and Food Sovereignty Action Thailand Foundation (BioThai) yesterday published its 2017 annual report on the food security situation for Thailand, which revealed a worrying trend of a widening inequality gap in the access to food. 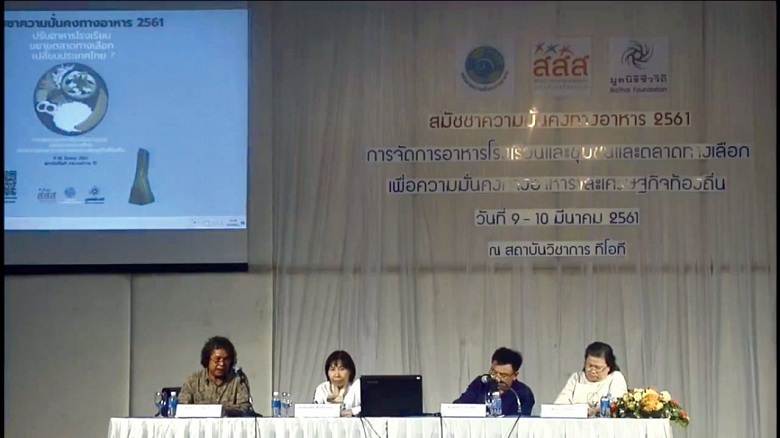 BioThai Foundation director Withoon Lienchamroon said that despite being a food exporting country, some 6.5 million Thais still did not get enough food and more than 600,000 children suffered from malnutrition, which affected their physical development. At the same time, the obesity rate had doubled from the last decade in Thailand and more than 5 million people were judged to be overweight.